3-lead Holter Rythm 24h or 48h recording H3+ of Mortara Instrument. 3-lead Holter Rythm 7 days recording, the smallest of the world. 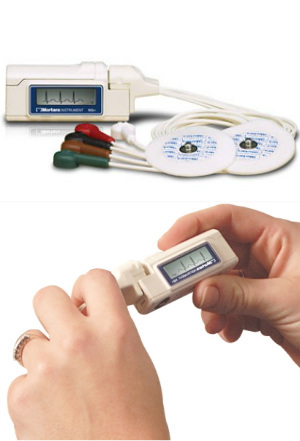 Allows you to record heart function on 3 leads, 1 to 7 days! Mortara Instrument presents the lightest and smallest Holter Rythm of the global market with liquid crystal display. Continuous digital recording of 3-lead beat to beat. Just 28 grams with battery (type ΑΑΑ). Required Leads II, V1, V5. 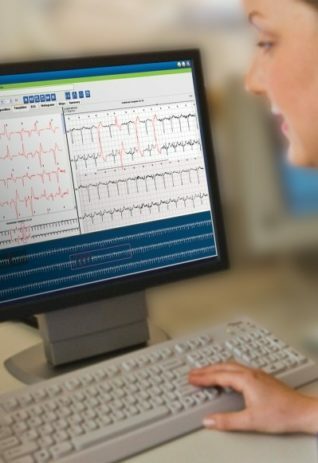 The Mortara H3+ can be combined with the HScribe Holter Analysis Program Mortara HScribe 5, which operates in an environment of WINDOWS.